Julie lives in rural Maine with her husband, her two free-range children, her dog, cat and pet chickens. Her passion for photography developed at age 11 when she received her first camera, and she’s been taking photographs for over 30 years. Julie’s art is a juxtaposition of the quirky and the mundane; she combines these elements in her photo series titled Chicks in Hats, where she crafts miniature hats and puts them on her pet chicks to be photographed. 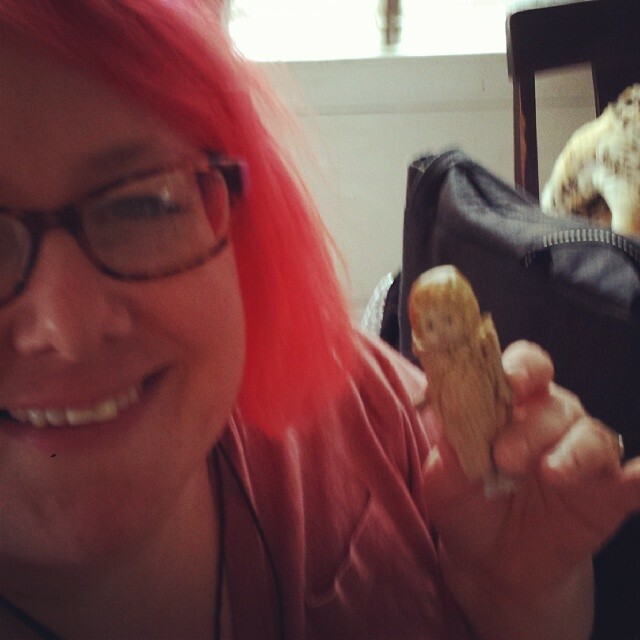 She is also currently working on The Adventures of Claudia; a photography project following the adventures of a small antique porcelain doll. Julie finds inspiration in the smallest of details and can often be found on the ground taking photographs of tiny plants and creatures. Todd Lounges with LannaLee and gets a couch! 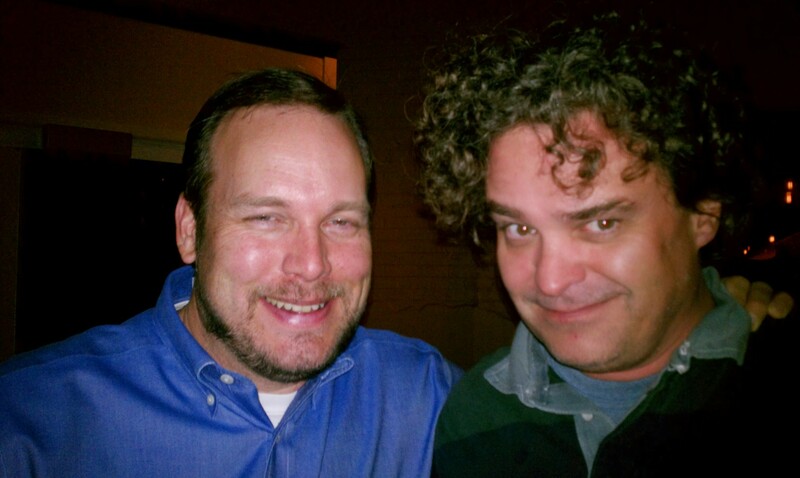 Todd and I sit down to chat after helping build a 5-story balloon sculpture and reminisce of our days twisting together in Boston; back when I was a clown and he was a law student. 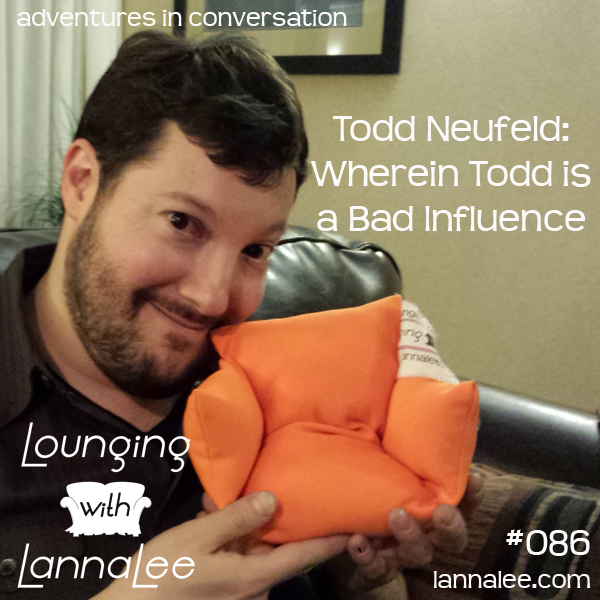 Todd tells me how we can make the world a better place and he solves my performance anxiety. We are too loud for Suzanne, and won’t let Mike in the room. We talk about “Lawyer school” and how Todd created Manager Sal. Todd dishes about twisting balloons at the White House. And he answers 10 questions. Todd “Twistin’ Todd” Neufeld is a professional balloon artist in New York City. He has been featured in many TV shows and magazines, at the White House, and most recently, on an episode of Lounging with LannaLee. 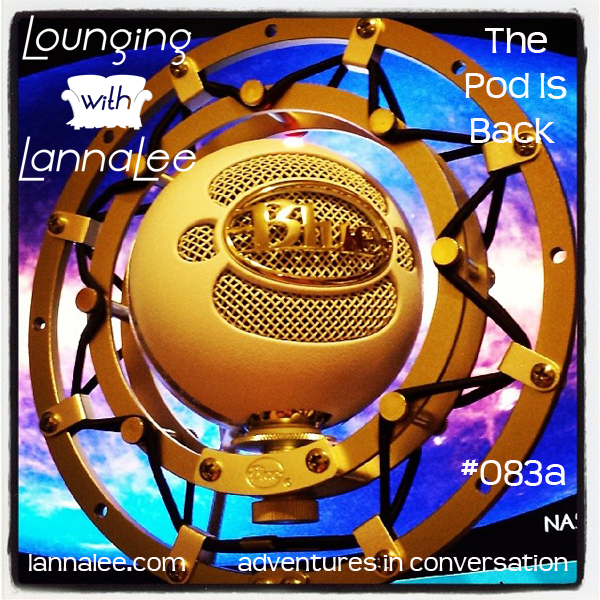 One more solo pod before we get back to proper lounges. 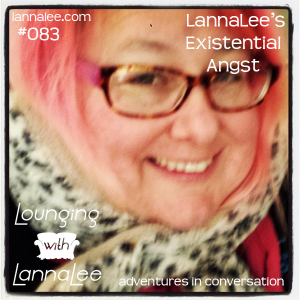 I pick up where LLL083 – LannaLee’s Existential Angst left off, give you an update of what’s been going on, and get you (and me!) pumped up for next week’s podcast, which will feature Kelly Cheatle from Balloon Manor. Talking about depression, Balloon Manor and hair dye. 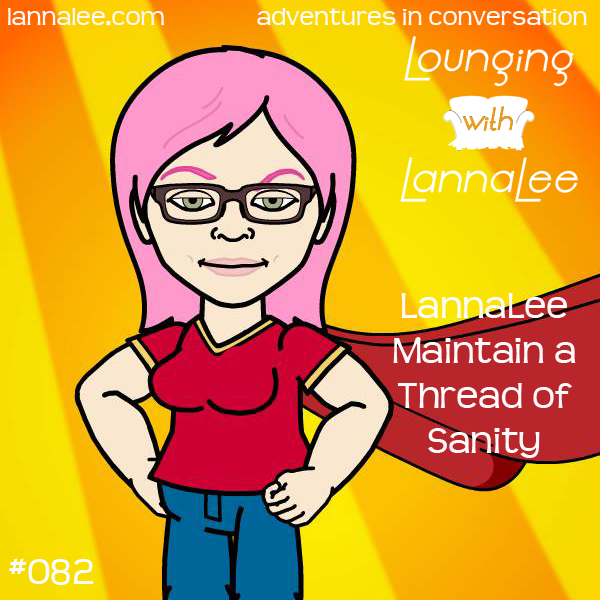 Well, for the lack of a proper lounge, here’s a podcast of me talking to myself in the car about my current obsessions (Vine, Blue Planet, Physics), taking care of myself, and maintaining a thread of sanity. Robin lounges with Lanna Lee and gets a couch! I love Robin Merrill! 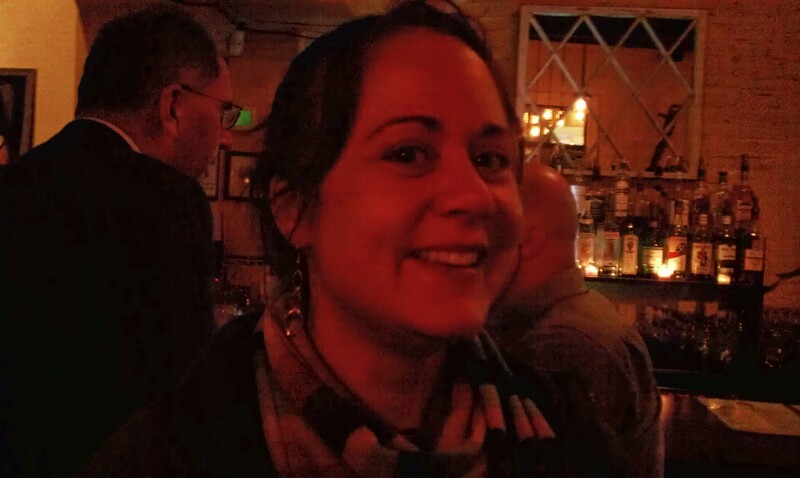 We sat down last week at Portland Maine’s busy (and LOUD) Bull Feeney’s and had a fun conversation about her stint in the Merchant Marines, homeschooling and her Jesus freakishness. Robin talks about slam poetry and her feminism. And she answers 10 questions. Robin Merrill is a freelance writer/editor. She has written five children’s books, all available through Scholastic. Two poetry collections have been published by Moon Pie Press. Her poems, short stories, articles, and essays have appeared in hundreds of publications, including The Cafe Review, Ledge Magazine, Margie, Pearl, Spoon River Poetry Review, and Stolen Island Review. Three of her poems have been featured on The Writer’s Almanac with Garrison Keillor. 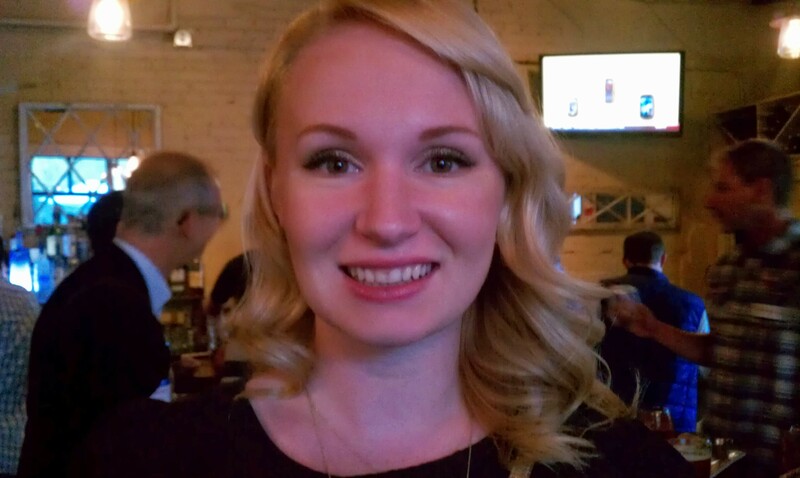 She is a 2013 recipient of an Emerging Artist Award from St. Botolph Foundation. 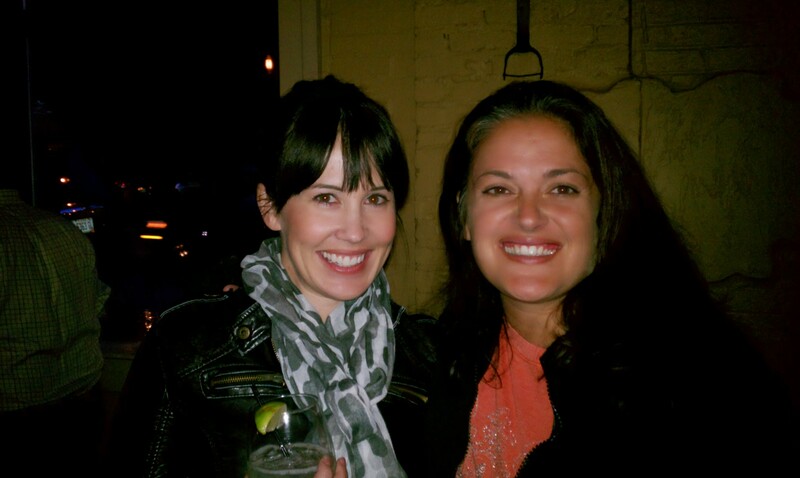 Robin has performed her poetry and fiction at dozens of venues all over New England and New York. She is a member of the 2013 Rhythmic Cypher National Slam Team from Portland, Maine and is a semi-finalist for both the Port Veritas and Rhythmic Cypher 2014 teams. 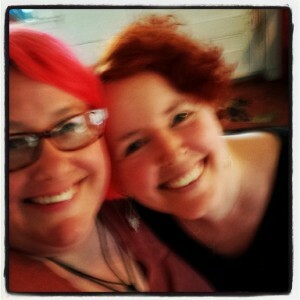 She has her MFA from Stonecoast and frequently leads creative writing workshops for writers of all levels. 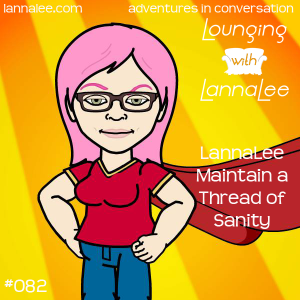 The Lounging with LannaLee Podcast needs your help. Here’s three ways you can show your love! 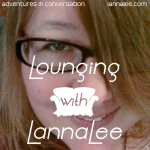 Alex lounged with LannaLee and got a couch! 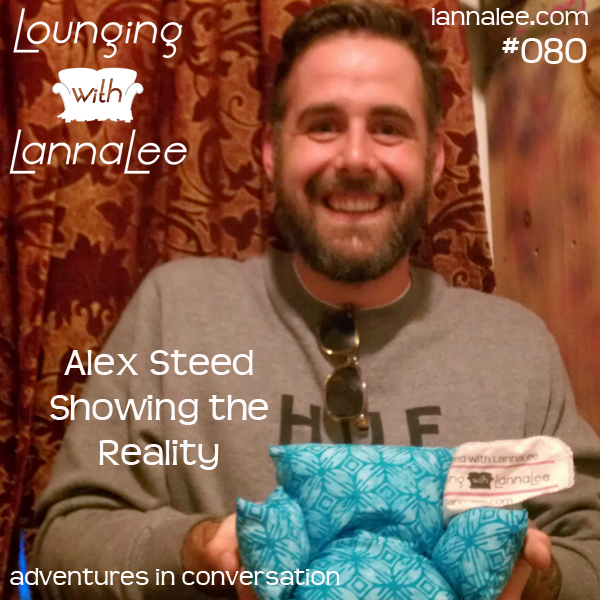 For our 80th episode, I talk again with Alex Steed, Lounging with LannaLee’s first guest. Alex asks us to be honest with ourselves. 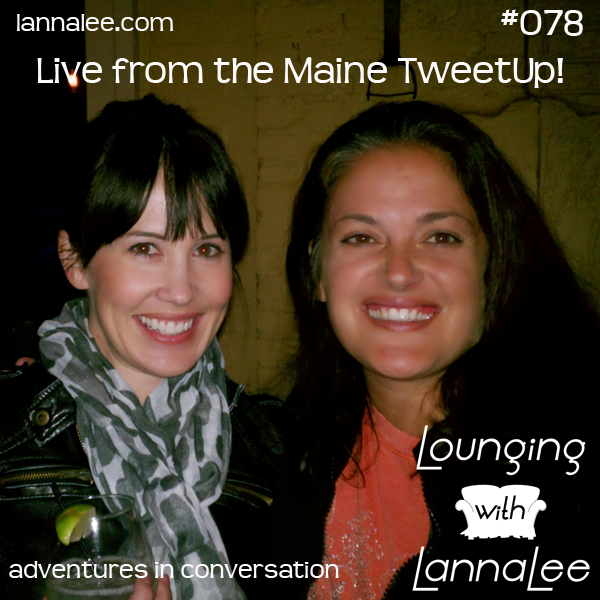 We chat about movies, FoodComaTV, the Knack Factory and showing the reality. 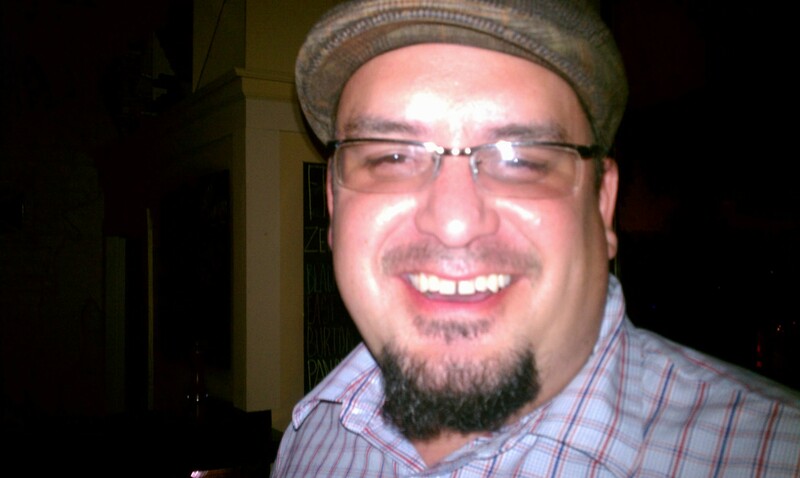 Alex illustrates his geekiness. I confess my love of Stephen King, we discuss The Shining movie vs. The Shining Book, and we agree about Stanely Kubrick. Alex talks about blurring lines, and we DON’T reference Robin Thicke (I can’t believe we missed THAT one!) Alex documents real life, wants to avoid self-imposed restrictions, and likens FoodComaTV to a “Traveling Punk Rock Band.” And he answers 10 questions. 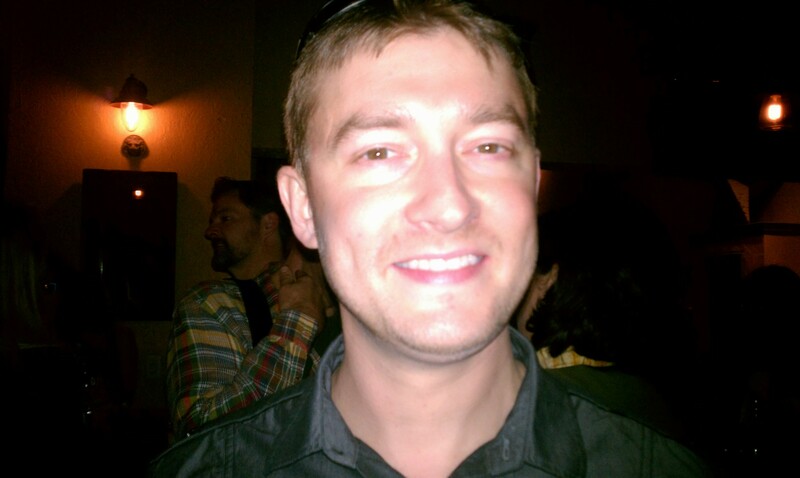 Alex is a partner and oversees project execution and day-to-day agency operations at Knack Factory, a content and strategy firm based in Portland, Maine. 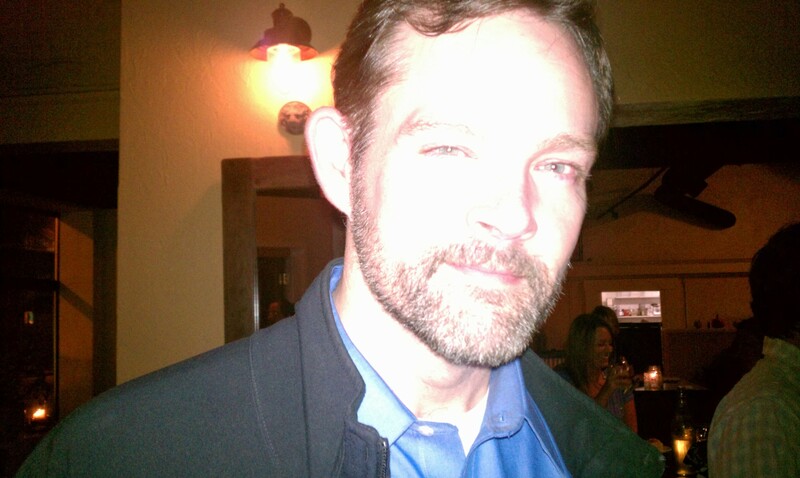 Having worked with Change.org, NetSquared, and a number of organizations and businesses, he brings 8 years of experience creating web-based community outreach strategies to the table. 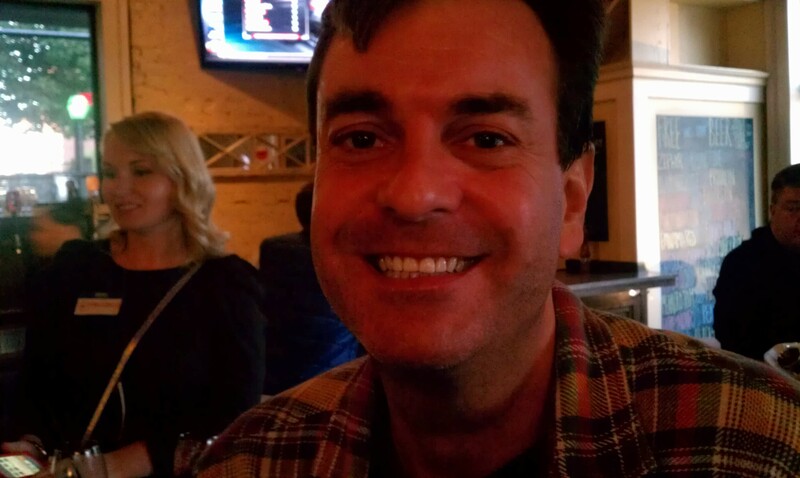 He also blogs about politics and culture for The Bangor Daily News. Alex first lounged with LannaLee in LLL001 @AlexSteed in the Lead published on March 1st, 2012. Shay Lounges with LannaLee and gets a couch! 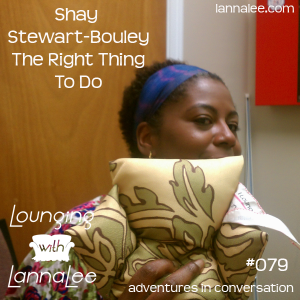 A year-and-a-half after our first lounge, I talk with Shay about race, privilege, class and how to make the world a better place. I put my foot in my mouth. Shay lays it all out for us about diversity and difference. I try not to whitesplain and Shay calls me out for being uncomfortable. Shay tells us to be We-focused (not me-focused). And she answers 10 questions. Our guest this week is award-winning blogger, columnist, and non-profit goddess Shay Stewart-Bouley. Her blog, Black Girl in Maine, was named to Babble’s Top 100 Mom Bloggers of 2011. Also in 2011, she won a New England Press Association award for her writing on diversity issues at her monthly column at the Portland Phoenix, entitled Diverse-City. In the non-profit sector, Shay is the executive director of the Biddeford’s Joyful Harvest Neighborhood Center. Lounging alum Larry Moss is at it again with a 5-Story Jack & His Beanstalk Balloon sculpture to be made in February 2014. Larry Moss and Kelly Cheatle will lead a fantastic community project that will also bring balloon artists in from all over the country. 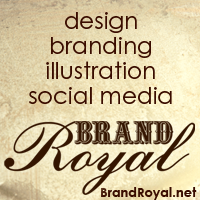 So if you have a few bucks, they would love your support. Every little bit helps!